I spend a fair amount of time in hospitals. As a pastor I visit people in all sorts of circumstances. Sometimes I’m sitting with my own family. On one memorable occasion I was the patient waiting for biopsy results, being prepped for surgery and then the process of recovery. Being in a hospital provides ample time for waiting. We sit with our emotions or the emotions of others. Often we feel vulnerable, placing our well-being or the well-being of a loved one, in the hands of another. We wait, we pray, we hope. I’m always mindful that each person has their own story….patients, family members and staff. A hospital is a container for the emotions that make up the human condition: Anxiety, vulnerability, despair, grief, kindness, hope, healing. In the intensity of this setting there is no such thing as a ‘small act of kindness’. Recently I sat in a large hospital reception area sipping a cup of coffee. To the side was a man seated at a piano. 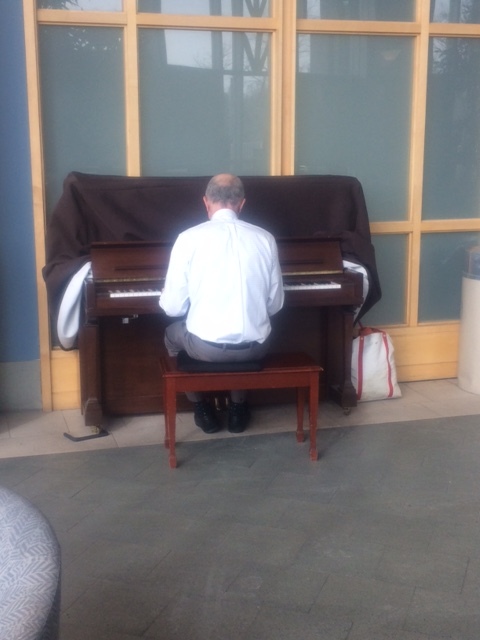 As people waited for their appointment or for a loved one, he quietly played a variety of jazz and standards, making each piece his own. An accomplished pianist his music was designed to help us relax. One woman with tears released a long sigh. A man holding a sleeping child closed his eyes and nodded his head to the music. A few children held hands and danced. We know, there is no such thing as a small act of kindness. Every expression, particularly in the heightened setting of a hospital, is a blessing, a gift, a balm. 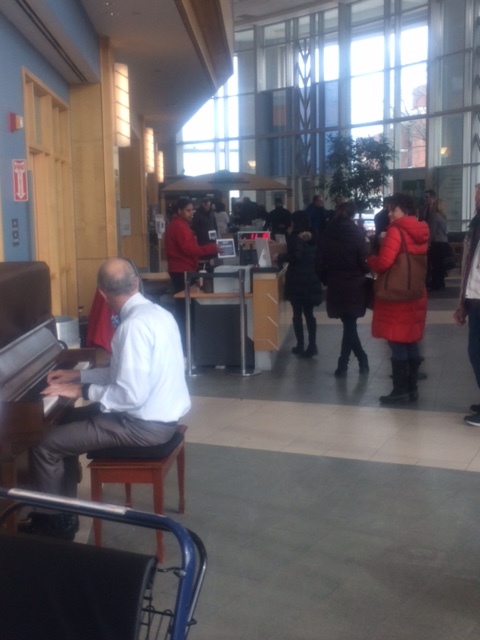 Thank you to the piano man. Thanks to each of you for the kindness you show. Joe, thanks. They have internet in Hong Kong? Who knew? Enjoy your trip!